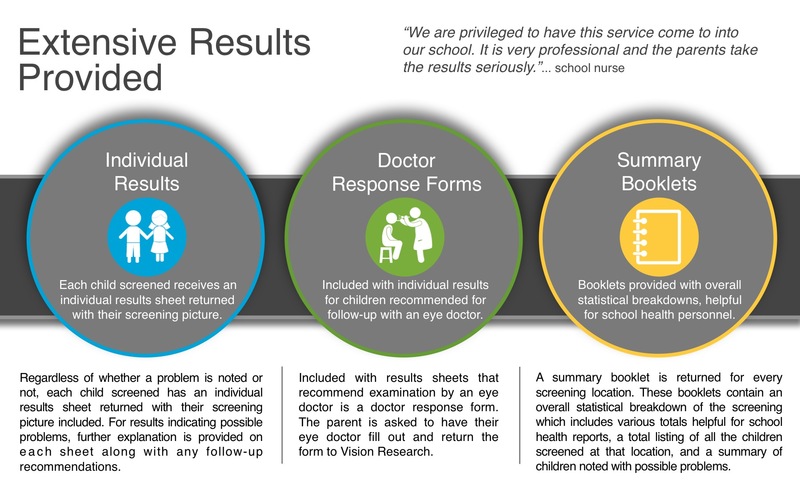 The results package for each location screened contains a variety of reports. Most importantly, the package includes individual results sheets for each child screened with their screening images included. Doctor response forms are also provided for children recommended for further evaluation. Summary booklets are included for use by school personnel.